Well I did the block radiator test and it came up negative. I'm sceptical. The liquid should turn from blue to yellow and I got nothing after 10 minutes so I put at the tail pipe and it took 3 minutes just to turn green. I don't think the 110 Octane makes a difference. 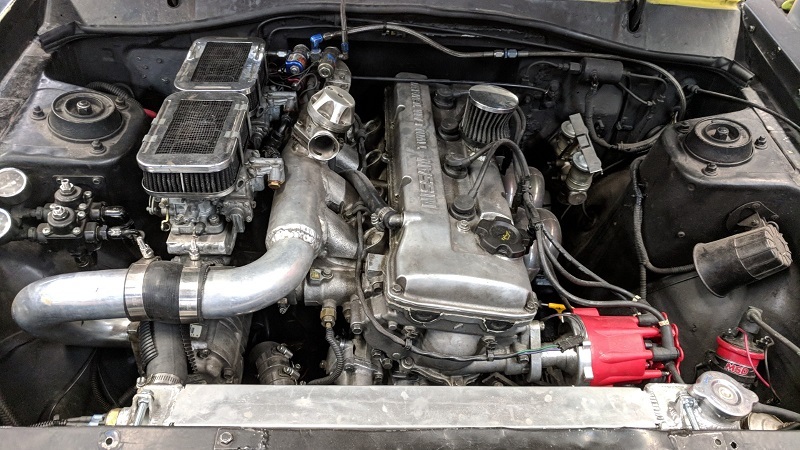 Ordered a custom aluminum racing radiator so after that's installed more than likely it will be a new head gasket. 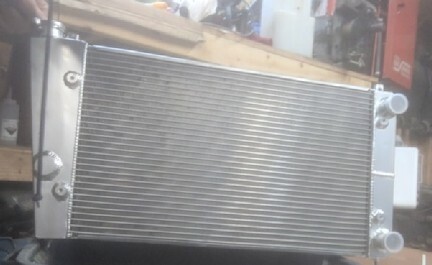 Radiator showed up. 2 core instead of my old single. 50mm thick instead of my old 30mm. Basically the same - length but I'll have to modify the mounts to get it in. Maybe I'll get a new fan setup as well. 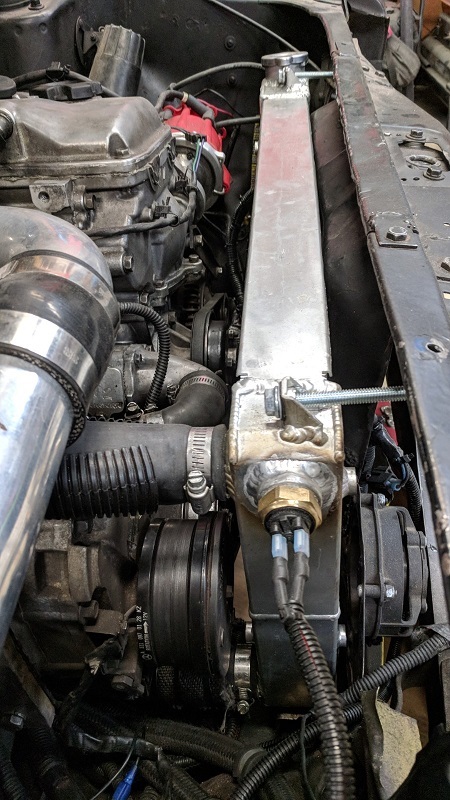 Radiator fits nicely and is working. I ordered a new fan thermostat plug for the radiator. The current one was 95c - 85c which allowed the temperature to raise up a little bit. I ordered a Fiat plug out of England that is 90c - 80c. Should keep the temperature down. I do still have a fan "ON" override switch. Well I've ordered two fan temp switches since then. The 90-80c switch was still too hot so I ordered an 82-77c switch which was too cold so I have a 87-82c coming in the mail. 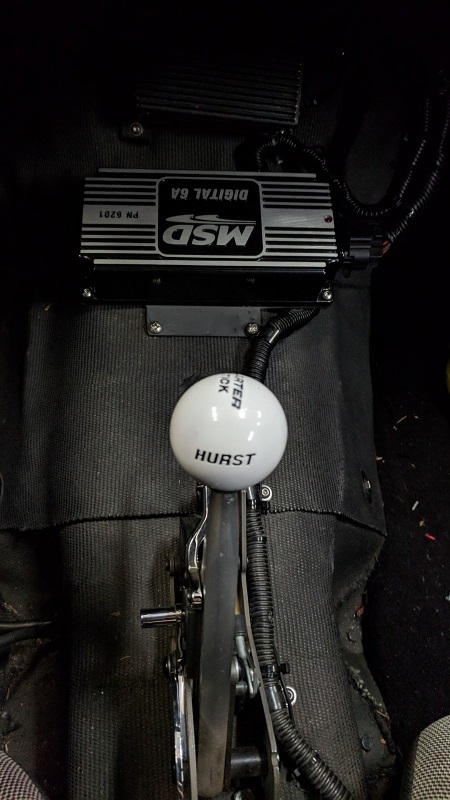 If that doesn't do the trick I'll just order an adjustable fan switch from Summit Racing. 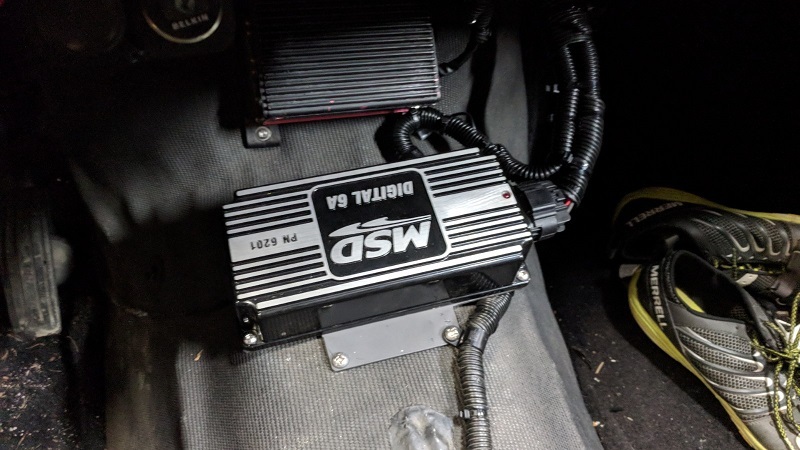 Also considering upgrading my MSD Ignition box. I currently run the StreetFire Series which is an introductory box. Thinking about ordering the Digital 6A box. It puts out a better spark. New radiator installed with relocated fan switch sensor. And newly installed MSD 6A which throws a better spark than my old MSD Street Fire Box. Am finally going to schedule a Dyno tune soon. Been talking with the local shop. 5. Over all Horse Power output on Motor and also on Nitrous.